Molyneux began his career as an apprentice with Liverpool but was unable to break into the strong first team squad, and then spent three years at Southport. 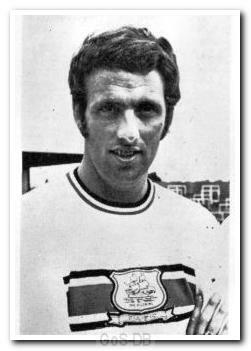 He notched up over 100 appearances before being brought to Home Park by his former manager at Southport, Billy Bingham. A tough tackling centre-half, he was named club captain, but thigh and cartilage injuries hampered him for much of the three seasons he spent at Home Park. After a short loan spell with Exeter City he moved back to Merseyside with Tranmere Rovers, playing there for two seasons before a return to Southport. He also went on to play for the then non-league club, Wigan Athletic.